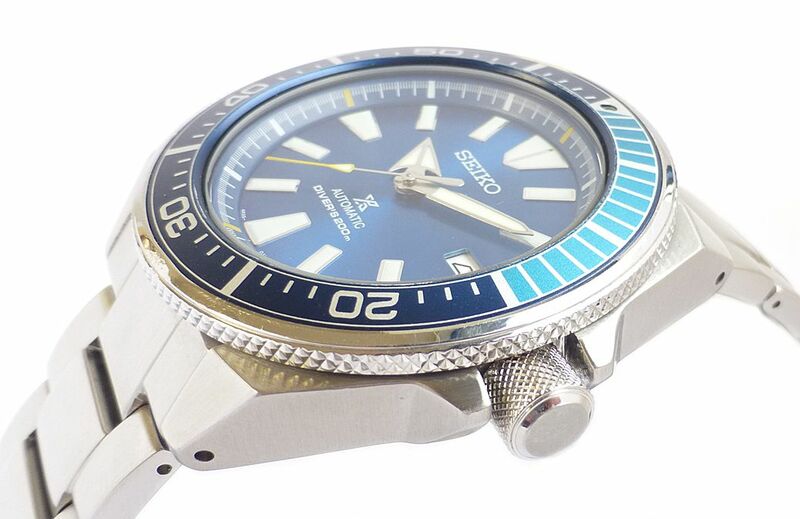 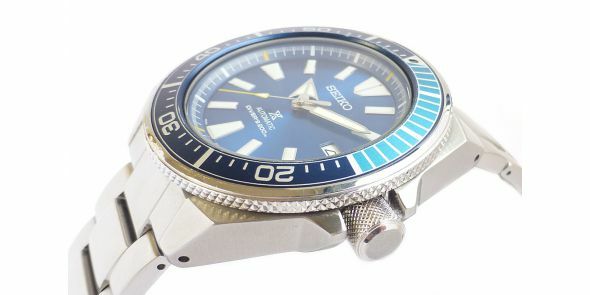 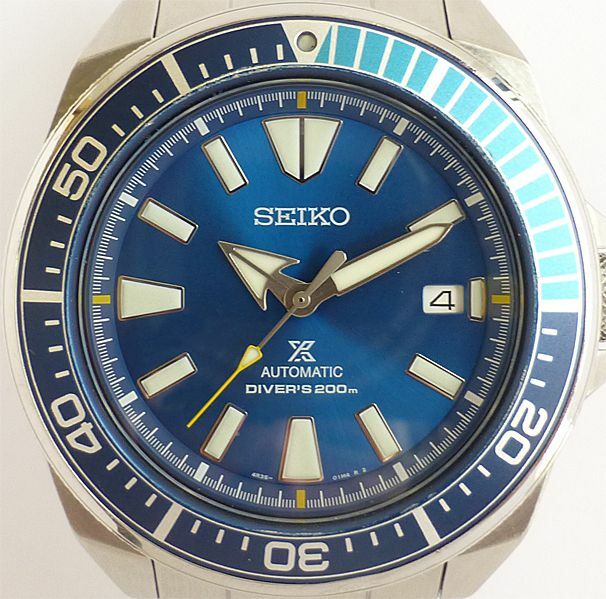 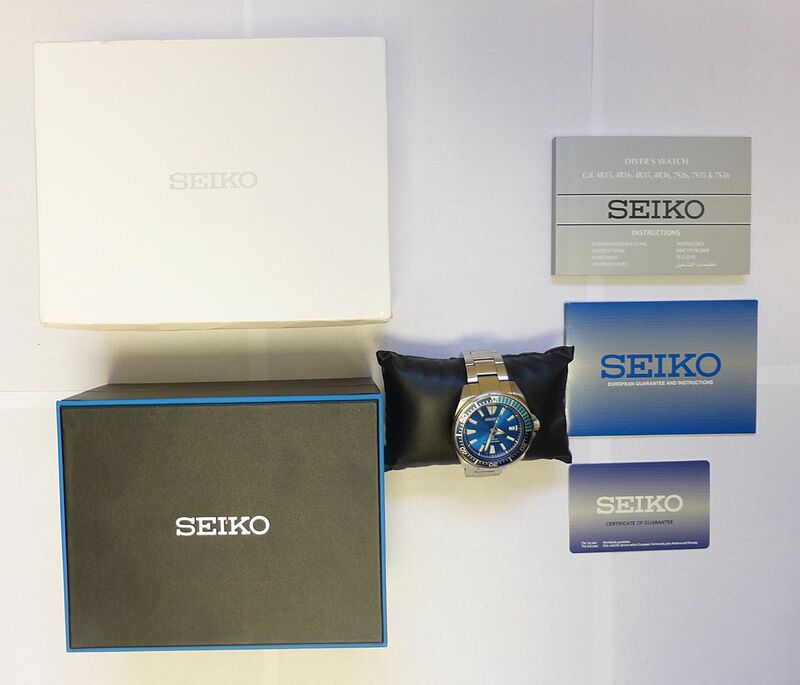 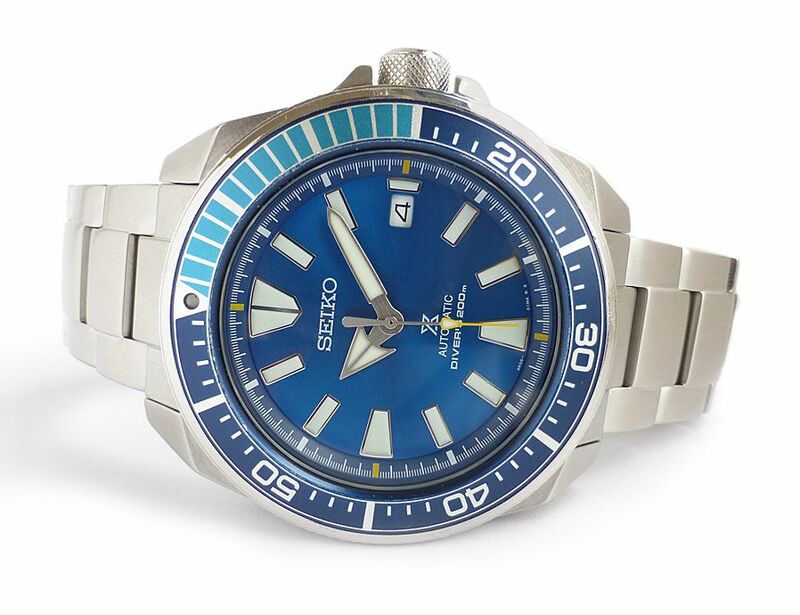 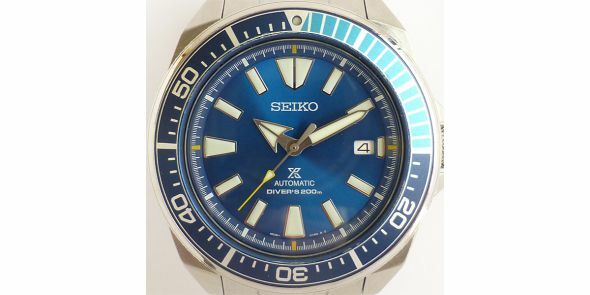 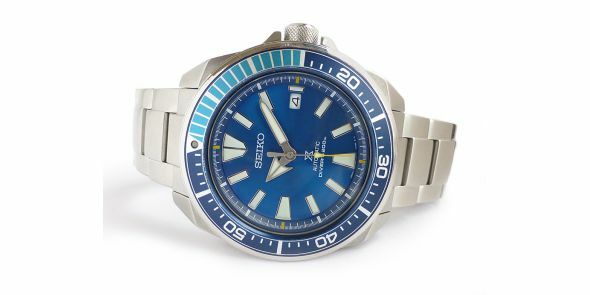 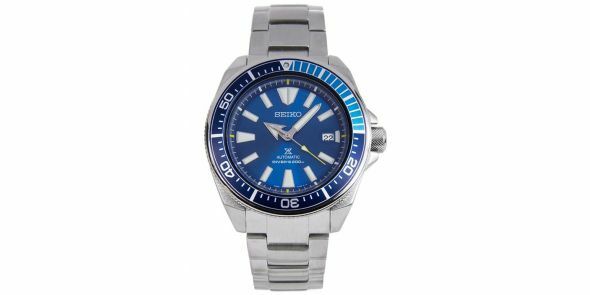 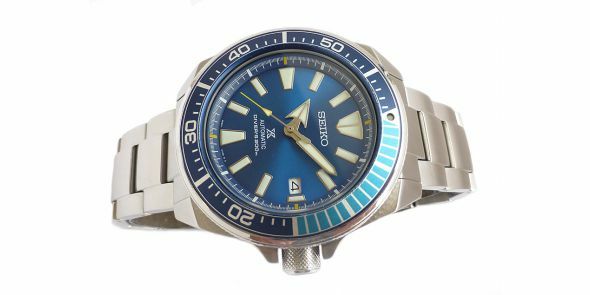 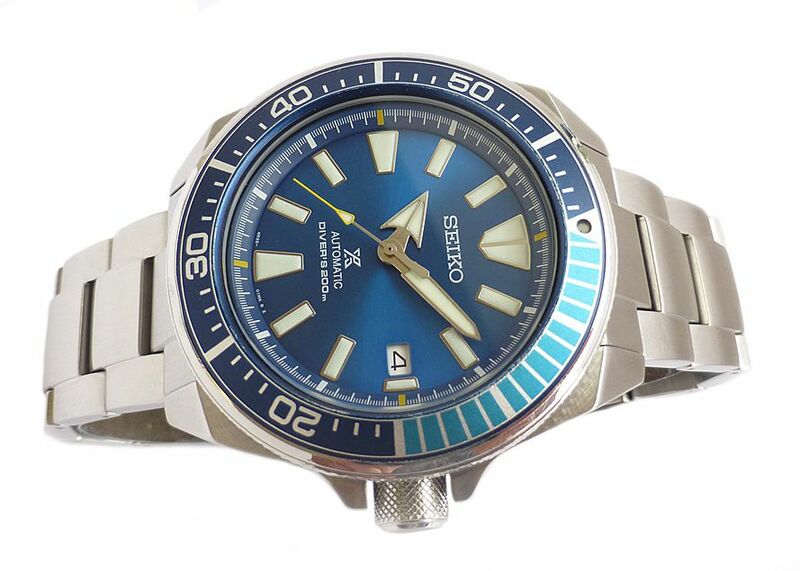 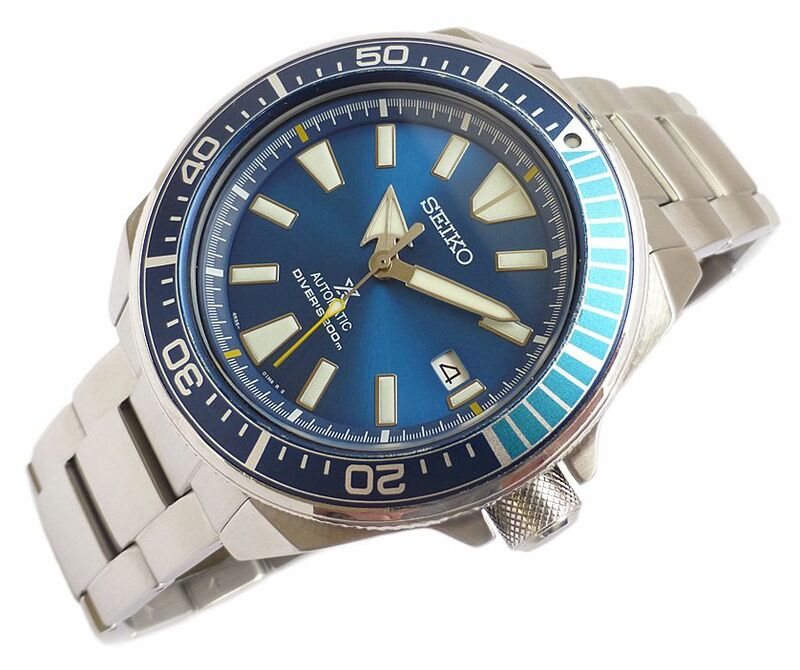 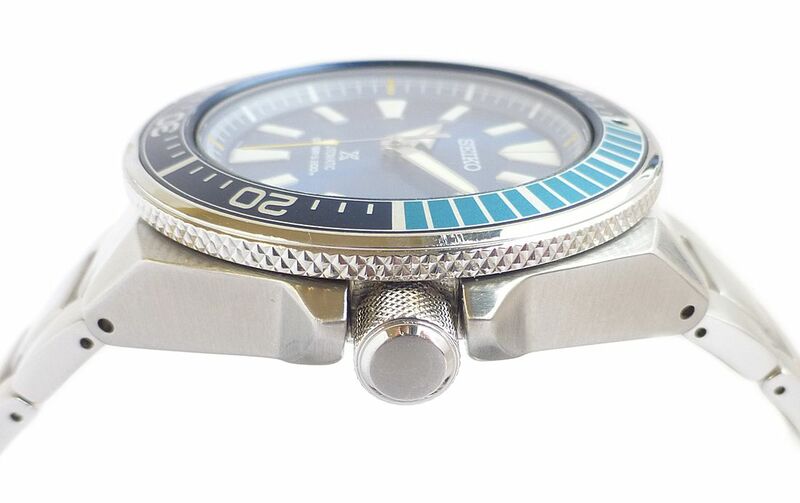 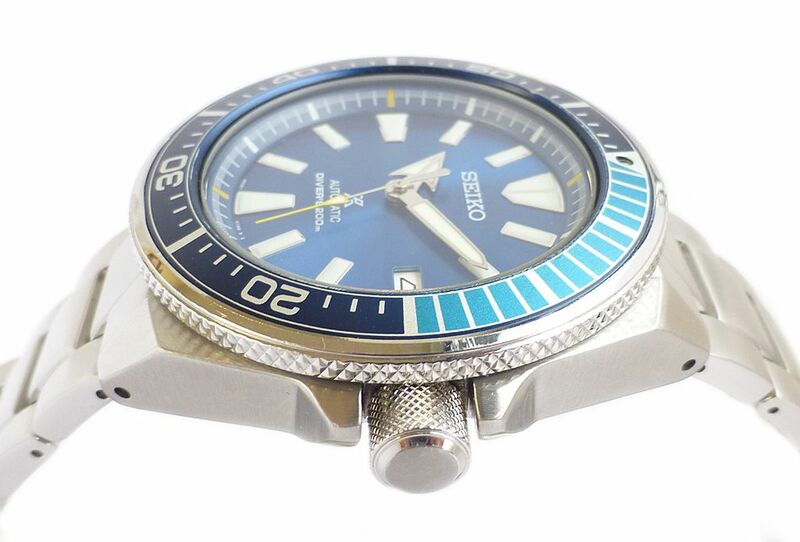 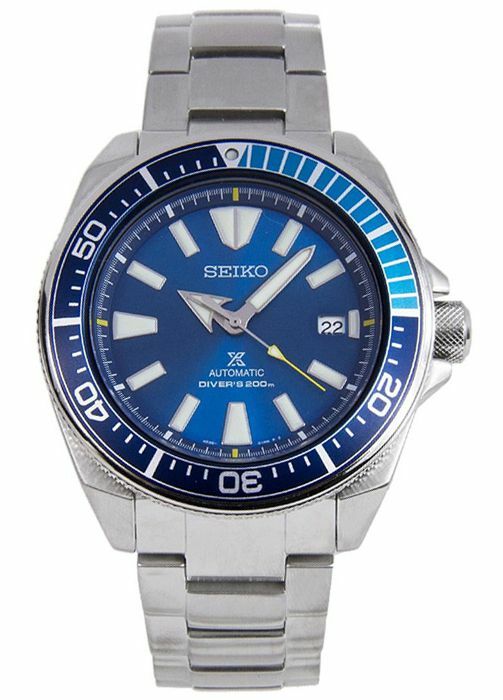 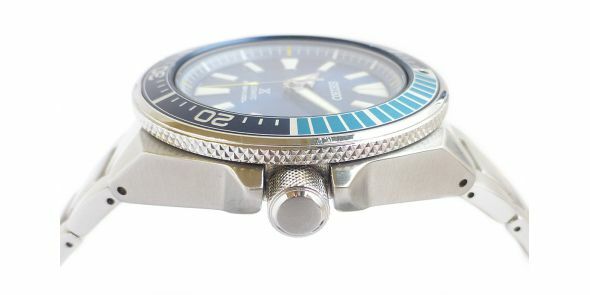 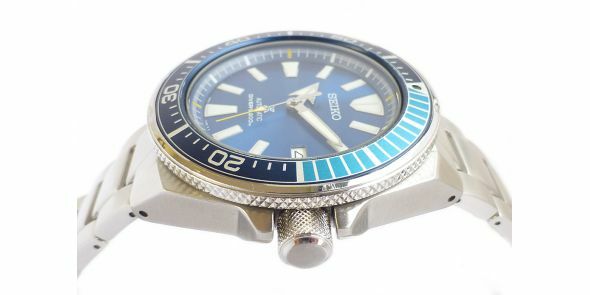 Mint condition Seiko Prospex "BLUE LAGOON" Samurai Automatic Diver's 200M . 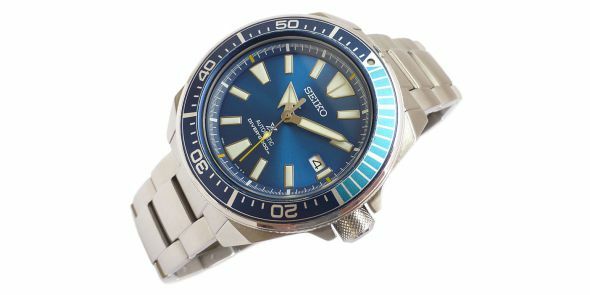 Limited edition and much sought after Blue Lagoon model. 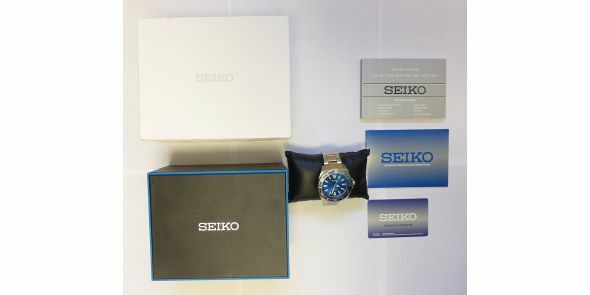 It si just over 1 year old and comes complete with box and papers.